Are you planning to buy an apartment in Lucknow? Are your family members crazy about modern luxuries and want the best-designed homes in the city? We know that this discussion cannot be the major centre for this topic here and will not go up to any longer. As this is not at all a difficult task in this wonderful city to found out easily for all these specifications. The topic here is that what you choose would be a correct choice and in an appropriate decision regarding price and location. You may have ignored it until now but is the most important criteria among the property experts while judging the correct value of a property. If your new home comes at a prominent location, it simply attracts the property seekers and in case you need a change in future, you will get great value appreciation for it. Also, for your daily requirements, convenience to your workplaces or your business location, the shorter distance will make your home more advantageous for you and your family. Now, a strong recommendation goes towards Gomti Nagar for the true value homes and for the great location. This is one of the most prestigious locations of Lucknow and having great future credentials. Enter the prosperous world of luxuries and bring your family to a paradise of comforts and convenience. 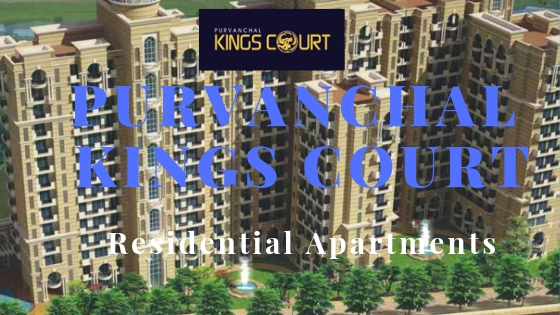 Choose wonderful homes in Purvanchal Kings Court to find the best in modern housing and for the unlimited amenities and world-class facilities. Made for the royal heritage lovers, the wonderful 3 and 4 BHK apartments are designed here in the same way to present you the Nawabi lifestyle in a king-size manner. 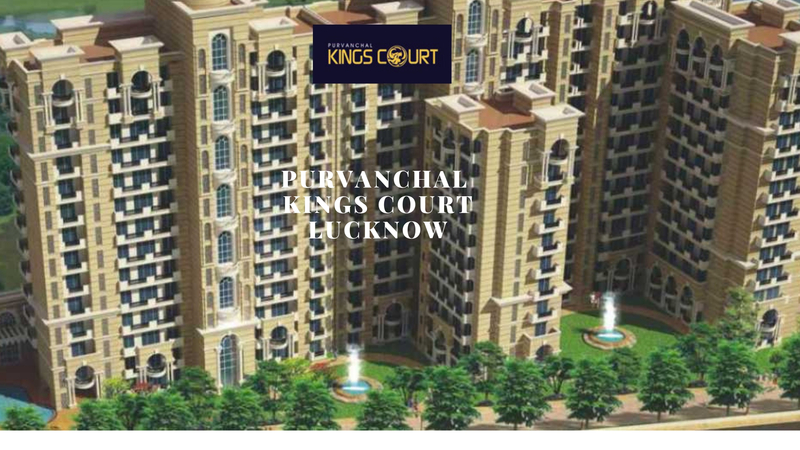 The sizes of these magnificent homes in Purvanchal Kings Court Lucknow vary from 1337 sq. ft. to 1936 sq. ft. and all the wonderful living spaces are equipped with finely crafted interiors. These modern homes are Vaastu friendly and earthquake resistant. There is no place in the entire Lucknow city which is far away from Purvanchal Kings Court Lucknow and you will reach easily to any landmark in quick time. There are plenty of international schools, biggest shopping malls, best hospitals around the township. For the lifestyle amenity lovers, the developers have executed here some special modern luxuries like a meditation centre, a large infinity pool, clubhouse, gym, non-stop water supply, power backup, 24X7 security, open space, landscaped garden/park etc. You will forget here about the limits and unlimited access will provide you here an ultimate lifestyle. Choose here an apartment in wonderful Purvanchal Kings Court price which ranges from Rs. 1.14 crores to Rs. 1.68 crores.